Reelika is a valued project manager thanks to her great planning skills and attention to detail. One of her strengths is the ability to simultaneously manage and coordinate projects at local as well as international level. In addition to managing healthcare research, Reelika helps to organise training and development activities through the Praxis Academy. She has been involved in implementing many European Commission and international development and cooperation projects, giving her experience of working in a multicultural environment and with difficult conditions. She enjoys putting together financial statements for projects. Before joining Praxis in 2010, Reelika worked as a consultant at the Tartu office of the Estonian Chamber of Commerce and Industry. 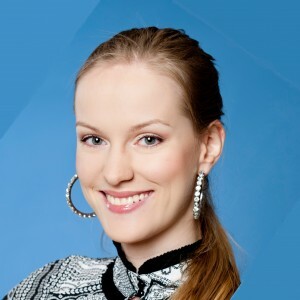 Reelika has two Bachelor degrees, one in economics and the other in geography from the University of Tartu. Reelika likes to travel because it widens horizons and creates understanding of other cultures and people. Reelika can speak English and knows basic Russian.